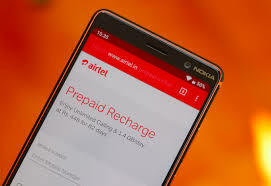 It is learned that Airtel has made changes in the facilities provided in its 289 prepaid pack. In the selected circle, the 289 rupees Airtel Recharge pack will now get 4 GB 2G / 3G / 4G data. Together, the validity will be 84 days. This Airtel Recharge Pack is currently available in Kolkata. Actually, Vodafone recently introduced a Recharge Pack of 279 bucks. It offers unlimited voice calls, 100 free SMS and 4 GB data every day. The validity of this pack is 84 days. It is worth mentioning that this same recharge card of Rs 289 comes with validity of 48 days in selected circle. This claim has been made by Telecom Talk. We can not personally confirm this claim. It is possible that Airtel will soon increase the validity of this pack in all the circles. Remember that this prepaid pack was first launched in September. At this time Recharge Pack came with unlimited voice calls, 100 SMS and total 1 GB data every day. The validity of this plan was 48 days. Now the company has made preparations to challenge Vodafone. The interesting thing is that this pack of Airtel really comes with unlimited calls, while Vodafone has 250 minutes of calls every day and a 1,000-minute limit per week. Vodafone's 279 bucks pack is available in Karnataka and Mumbai circles. With the validity of 84 days, Reliance Jio's most affordable pack is Rs. 399. However, the benefits it gets with are very high. Such as 1.5 GB 4G data and free subscription to live apps for use every day.